Yesterday the first of the Top-10 was published with old stand-by Louis Lunch grabbing spot #10, and today, a second New Haven favorite makes the list. Over the last year I sampled over over 60 burgers in search of the best Bar Burgers and Best Restaurant Burgers. And since May is National Hamburger Month, I will countdown the best of the best from Greenwich to New Haven. Each of these was sampled and enjoyed and not just a description from their website. Prime 16 (New Haven) – Prime 16 served an excellent bar burger, 100% organic and humanely raised ground beef cooked to my requested medium-rare. Even though the meat was compressed, it was a large patty, delivered excellent flavor and was juicy throughout. There were two thin slices of bacon that added just a little saltiness and the soft brioche roll was the perfect choice to encase the patty and added a little sweetness. The russet fries were very good but I would recommend the sweet potato fries, which were excellent, some of the best I tried. 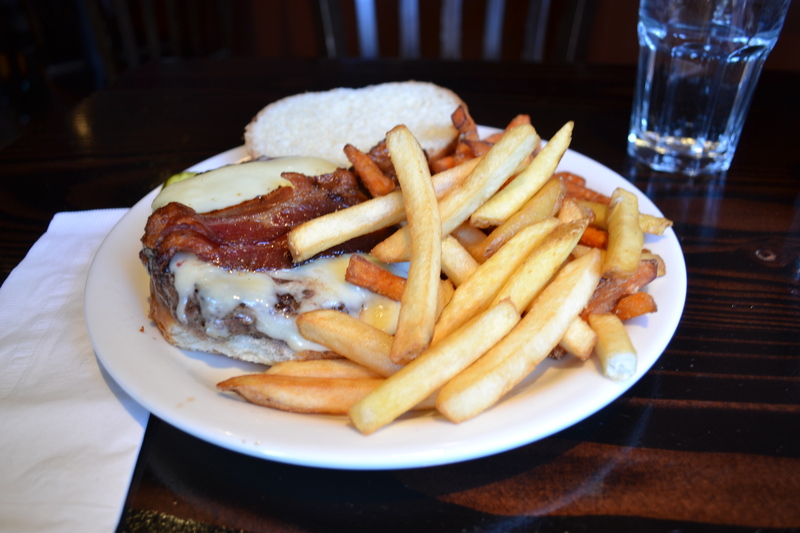 This entry was posted in New Haven and tagged ctbites, hamburger, Jeff Schlesinger, jfood, new haven by jfoodeats. Bookmark the permalink.